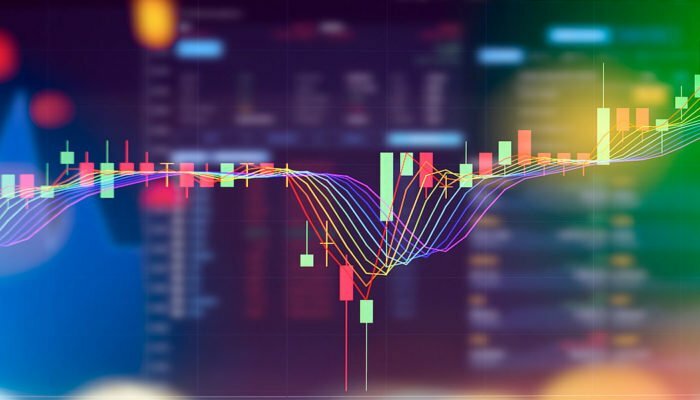 A correction is underway in IOTA and TRX price charts following bull break out above important resistance levels a few days ago. Still, we retain a bullish outlook recommending buyers to buy on dips as long as prices are trading above key support levels. This is even applicable in Tron following their release of a developer suite. In the mean time, recent comments from Charlie have been viewed as negative deflating investor confidence. 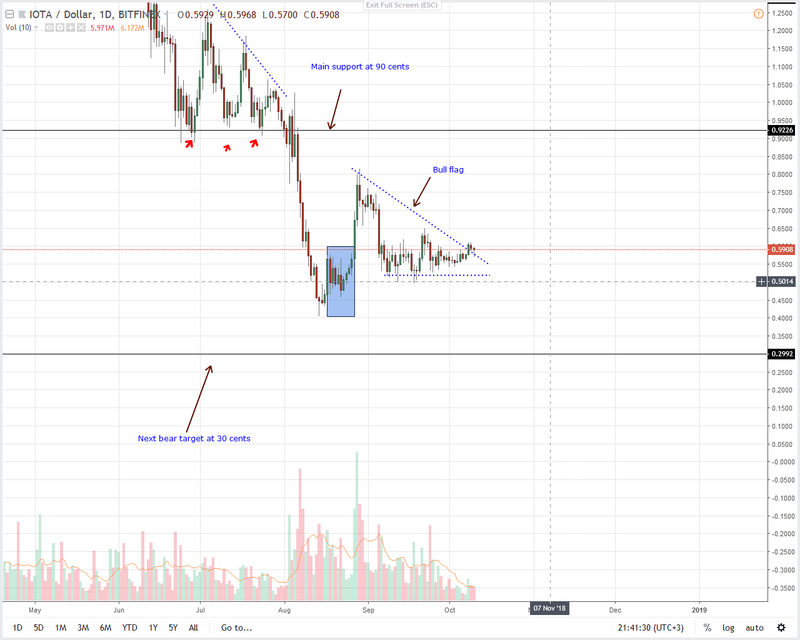 The stability in lower time frames justifies the reasons why EOS is up seven percent in the last week. In fact from a neutral point of view, the events of the last two days points at underlying bull momentum. This is all due to that long lower wick with prices rejecting prices below the minor support trend line separating short term bulls and buyers in a largely ranging market. Besides this support, notice that there is confinement of price within Oct 8 high volume bull bar reaffirming our bullish predisposition. 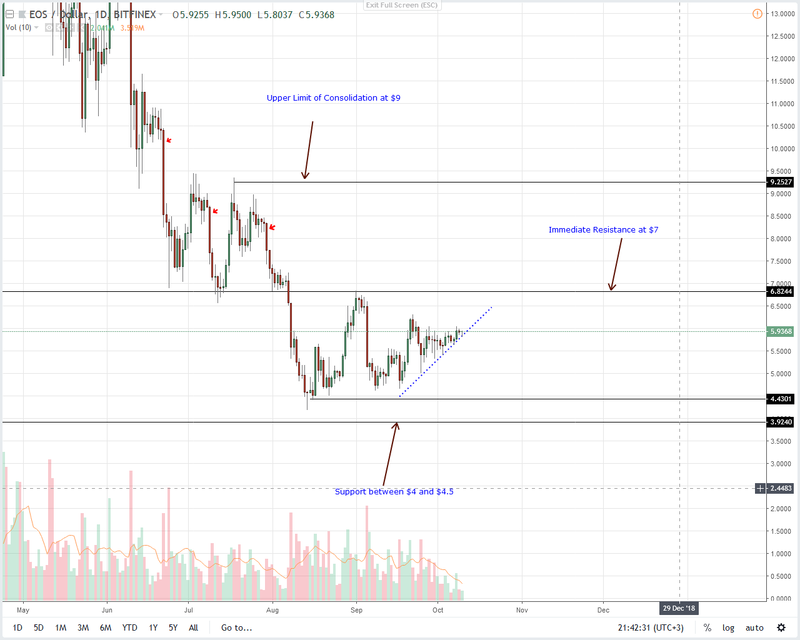 Though we remain bullish thanks to these developments, buyers should only execute trades once there are strong gains above $7 in line with our last EOS price analysis. 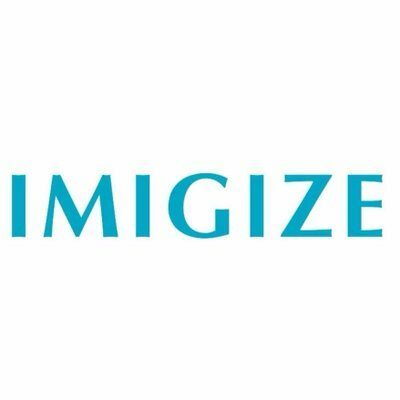 According to Charlie Lee, being a public face in a blockchain project is an oxymoron, full of advantages and disadvantages. In his view, he should have left the project on an anonymous note just like Satoshi did. However, this is not the time since the coins is not being used as a real world currency. Once it does, then he will leave the project having have achieved his mission. 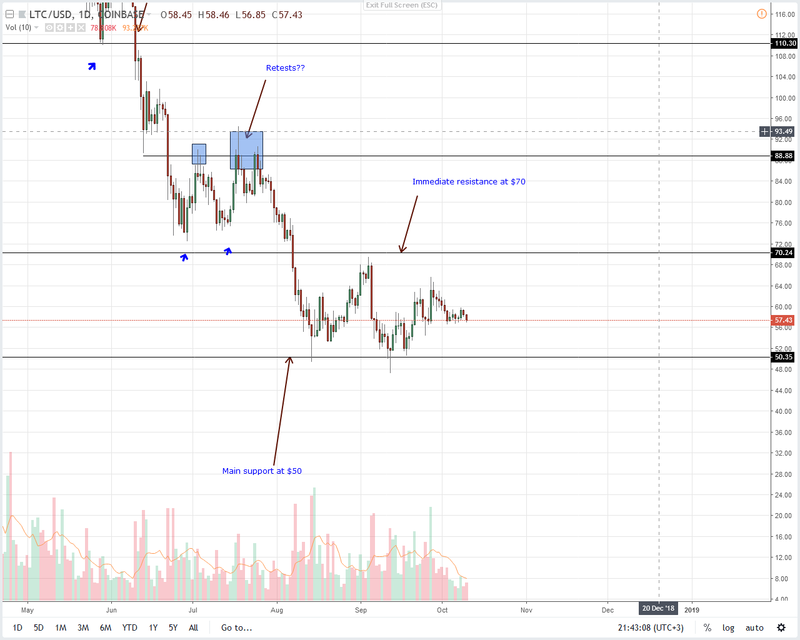 Back to price action and Litecoin did extend losses after shedding roughly one percent in the last day. What should strengthen our bullish position is the movement of price in relation to Sep 27 bull bar. On that day, LTC added 10 percent helping revive our bullish expectations. But buyers didn’t rally. The retracement which we are currently in mean traders can buy on dips preferably at current levels. Stops remain at $50 but gains above $70 will validate buys with first targets at $90 and later $110 in line with our last Litecoin trade plan. It’s now 18 days of consolidation. 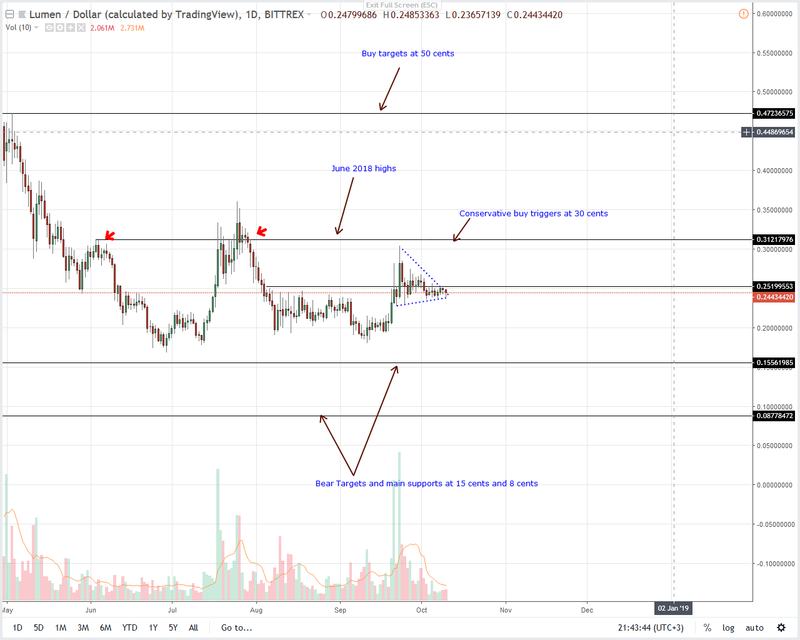 As Stellar Lumens prices taper, traders should step aside and watch XLM price action. Like we have been emphasizing, our Stellar Lumens trade plan is depending on break outs above wedge and 30 cents for bulls to be valid. Conversely, breaks below the minor support trend line and 20 cents could fast track losses toward 15 cents and later 8 cents. Before any of that happen, we suggest staying neutral with gains above 25 cents triggering risk-off buys with first targets at 30 cents. After claims from Sun that the Odyssey 3.1 will make Tron 200 times faster than Ethereum and 100 times cheaper than EOS, the team at Tron did release their first developer suite. 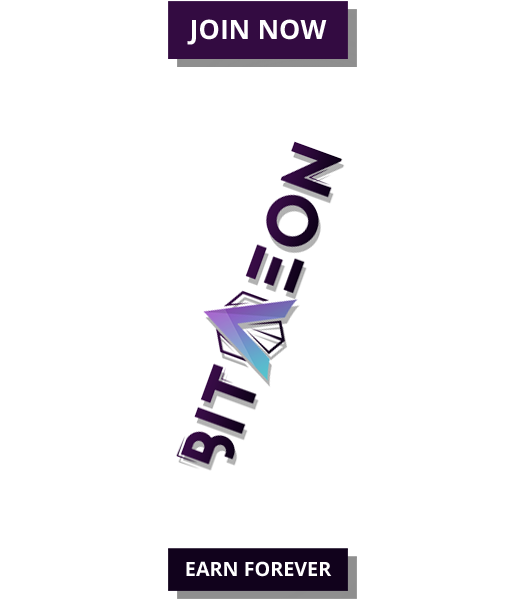 The suite is for innovative developers to seamlessly launch dApps in the Tron ecosystem. They are TronWeb, TronBox, TronStudio and TronGrid. 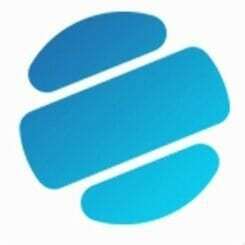 By using TronBox, users can easily test and set-up smart contracts. On the other hand, TronStudio has an IDE and an inbuilt TVM allowing any developer to test their smart contracts before deployment. Moments after Oct 7 when TRX raced above Sep and Aug highs, there is a correction underway. However, this is by no means bearish since prices are still moving inside Oct 7 high low. As a matter of fact, we can easily interpret this as bullish in line with our last Tron price analysis. As such it’s an opportunity for buyers to load at spot rates with stops at Oct 7 lows at around 2 cents. But, risk-on, conservative type of traders can wait for gains above 2.7 cents or Sep high before loading with first targets at 3 cents. Although we retain a bullish stance, losses below 2 cents negates our upbeat TRX price forecast. 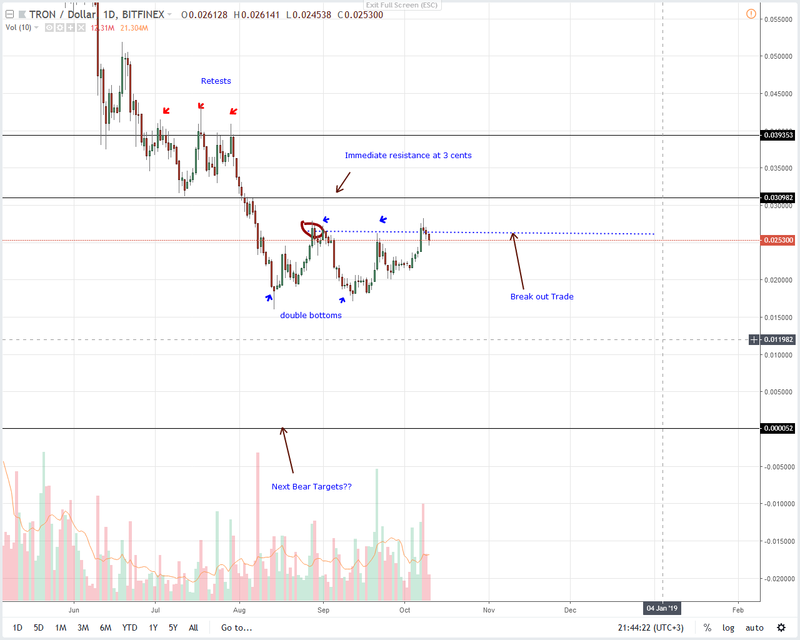 Even if IOTA is down one percent in the last day, traders should note that price is still trading above the main resistance trend line in line with Oct 8 gains. Because of Oct 8 break outs, our last IOTA trade plan is true. This is why we recommend traders to load at spot prices with stops at the 55 cents mark. Should sellers step up and our stops are hit then we revert back to bearish with losses below 50 cents inviting for sellers.